The conference, which title is “Urban thinkers campus – City as a Service was organized by the laboratory of urban innovation Push. The meeting is one of the 28 campus selected by the UN to participate in the world conference for sustainable cities “Habitat” in Quito (Ecuador) next year. The campuses have a goal which is to focus the opportunities to increase service design and ITC (information communication technologies) for smartier cities. 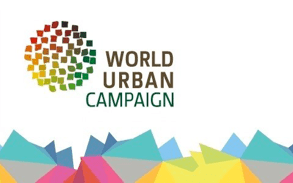 World Urban Campaign is the plan of UN for better cities and its goal ismaking cities livable places for a sustainable future. Campaigns are meant to help catalyze the engagement of all partners that have the potential to articulate pressing urban issues, to propose solutions and commit to shared goals and actions towards Habitat III. “Following the 3rd and last Call for Proposals, the World Urban Campaign (WUC) Standing Committee members approved an additional 11 applications to host an Urban Thinkers Campus (UTC) which now brings the total number of approved UTCs to 28. These 28 UTCs are scheduled to take place between the end of this month, June 2015 up to February 2016, with the aim to solicit input into the New Urban Agenda – the main outcome document of the Habitat III conference to be held in Quito, Ecuador in October 2016. The Urban Thinkers Campuses are part of a larger concept on how UN partners and civil society can engage and contribute towards the New Urban Agenda through The City We Need.